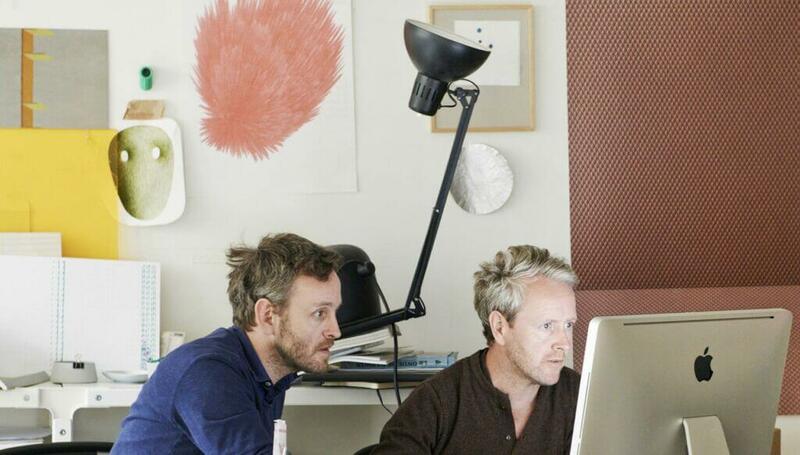 Since their earliest work in the late 1990s, French brothers Ronan and Erwan have brought fresh energy to design. Whereas most new objects are variations of existing ones, France’s most talented duo develops entirely original types of products – and it helps that there are two of them. In today’s world where the practical demands of price pressure, safety regulations and distribution imposed by massive industrial machines and the market weigh down on designers, it helps to be able to share the burden, which is perhaps why there have been numerous brothers in design: from the Italian Castiglionis and Colombos to the Brazilian Campanas. 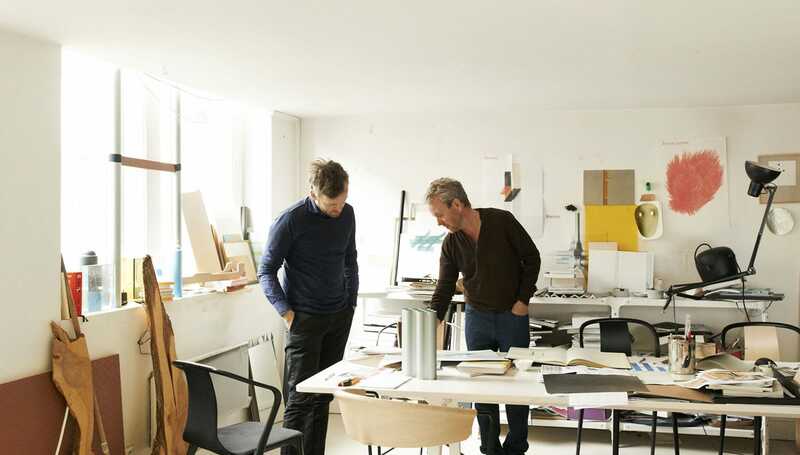 For Ronan and Erwan Bouroullec, at first designing under their own names, they soon realized, as each was working on the other’s projects, that it made more sense to combine their talents. Though fraternal spats are common, they best develop ideas through mutual discussion and dialogue, allowing them to analyze the tiniest details more rigorously and push each other to go further, and nothing leaves their studio until both sign off on it. Starting from the basis of finding the right balance among the numerous design parameters that go into each project, the Paris-based brothers have built a business out of allowing users to satisfy their desire to take a designer’s idea and personalize it, rather than settling for the same thing as everyone else. Instead of relying on others to make the decisions for them, consumers want to take control and customize certain elements of their lives, inject their creative input. The Bouroullecs recognize that needs undoubtedly change over time, so the product has to be flexible enough to change too. Their work straddles absolute control of their medium and total reinvention of convention, in the process changing people’s perceptions of what they imagine their home and work environments to be. Born in rural Brittany, the Bouroullecs rarely left the region until Ronan moved to Paris to study design. 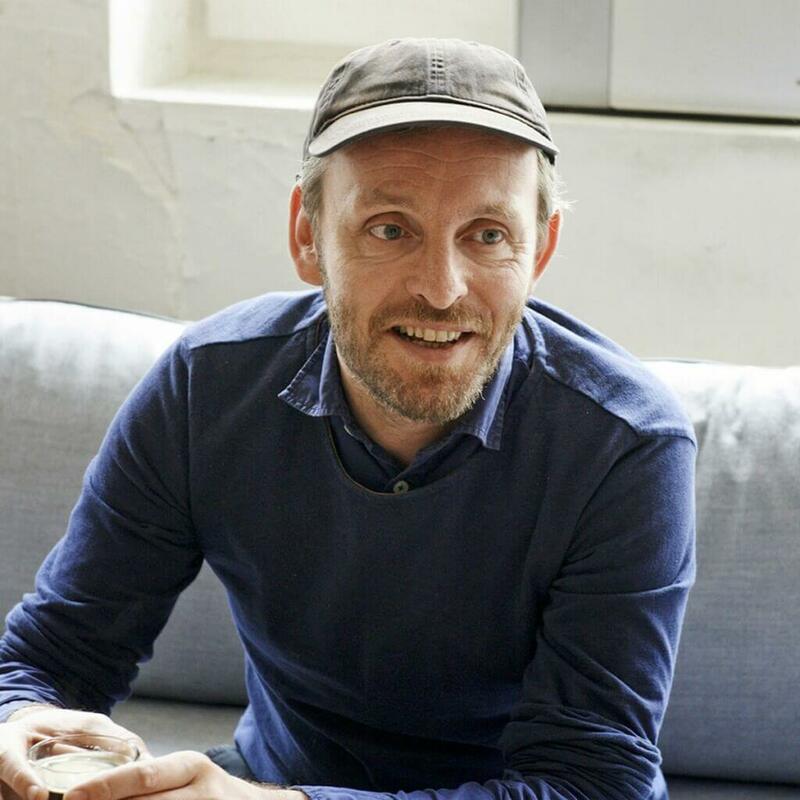 He got his first big break in 1997, when his Disintegrated Kitchen presented at the Paris Furniture Fair, designed to be customized by its owners, who can add drawers, worktops, hooks and shelves to the basic frame, meant to be disassembled and taken with them when they move, was spotted by Giulio Cappellini. Erwan, who had studied art, thereafter joined Ronan in 1999. Ronan is captivated by the lifestyles of nomads whose tents and furnishings represent pragmatic, ergonomic, humble and refined solutions that create an atmosphere and show respect for the environment. In an age where increasing numbers of people are living and working in the same space or sharing open-plan offices, we need to be able to define and divide spaces with something that’s versatile and easy to put up, move around, expand, contract and take down. Thus the brothers reinvent traditional types of furniture by creating them in a way which is particularly appropriate to a globetrotting generation, who never stay still. “We think a lot about dynamic movement, how to get into a building, install a living area quite quickly and disappear, if you wish,” notes Erwan. 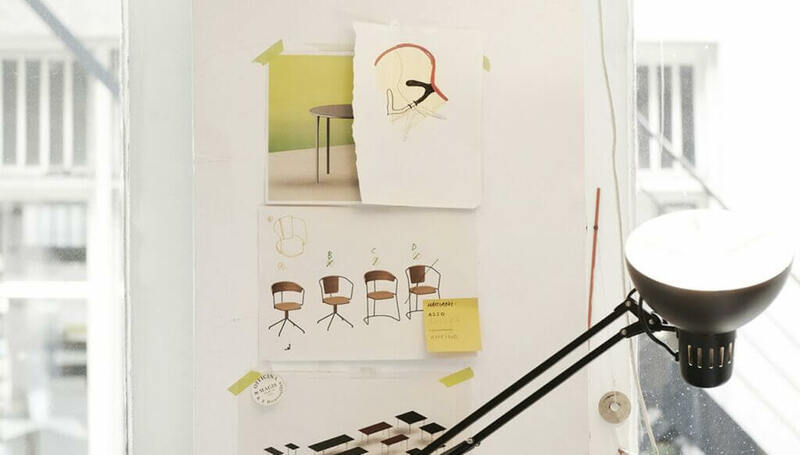 The Bouroullec brothers’ work is characterised by its simplicity, originality and completeness. They focus on achieving balance and finesse in their work and have a relentless commitment to quality. 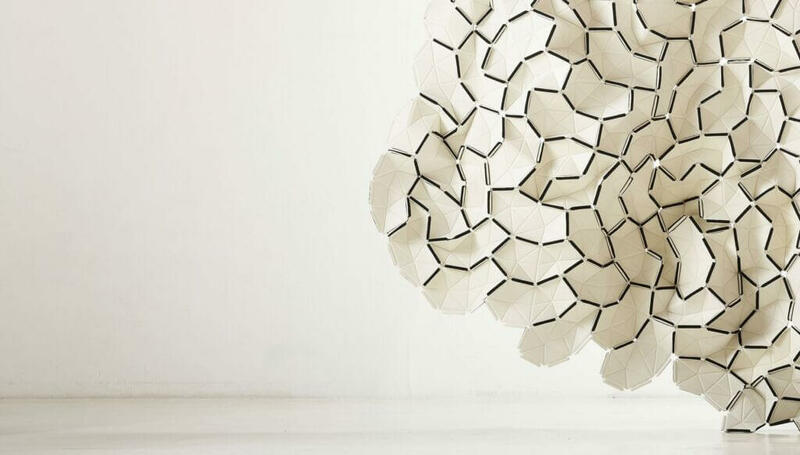 The designers have collaborated closely with Kvadrat on a variety of projects including textile wall systems, products, interiors and installations. Semis Rug is especially characteristic product from this collaboration. 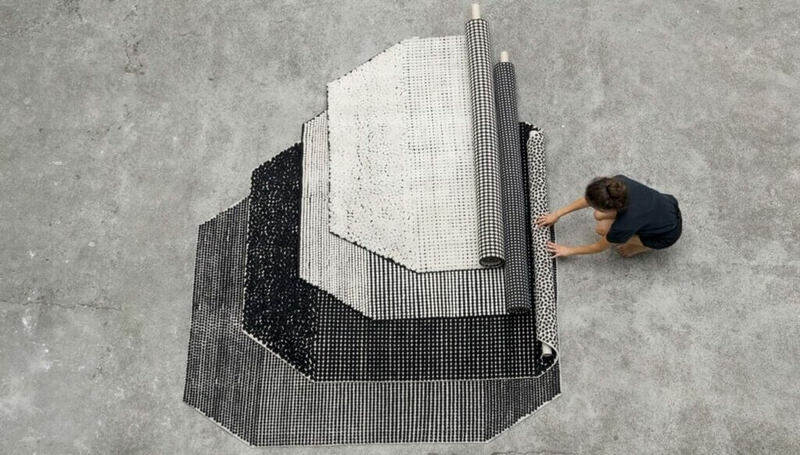 Semis Rug is an exercise in dots and tactility, the result of two years of intense research by this designers. Geometrically aligned and placed in different rhythms by varying the densities and heights of the rug’s knotted surface, the resulting visual effect is one of an abstract landscape, an aerial view of plantings in a field. Made from handspun Tibetan wool, the construction of Semis is time consuming, using the fine – yet remarkably strong – Tibetan knotting technique. For a 200 cm wide rug, three weavers will work together and complete up to 7 cm a day. 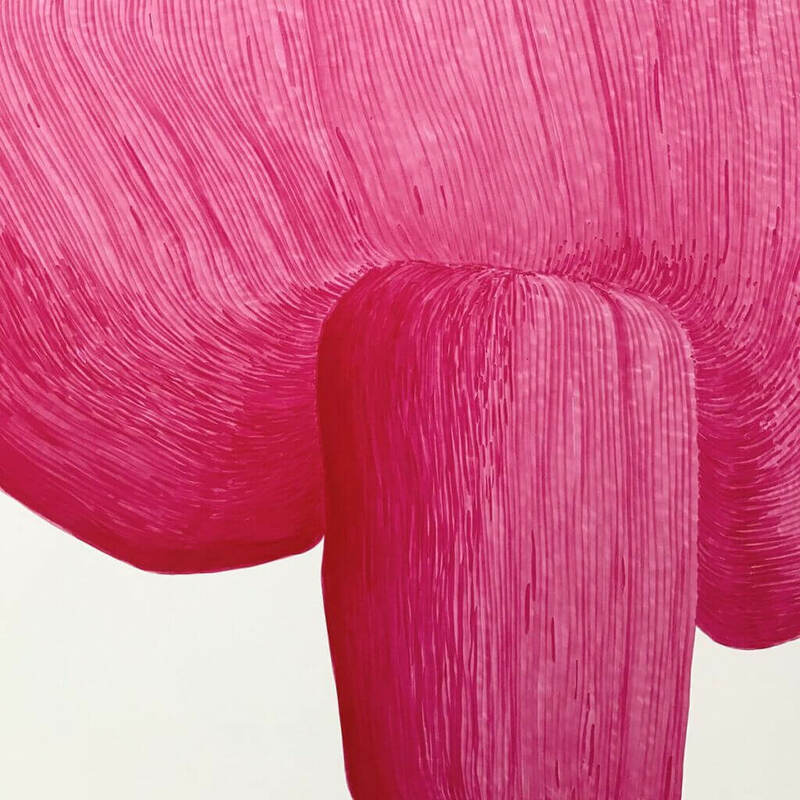 From this collaboration with Kvadrat, Bouroullec brothers also made : Cloud, an innovative, sophisticated and colourful new tile concept for the home and Ready Made Curtains, an easy-to-install kit containing everything you need to make your own window coverings. 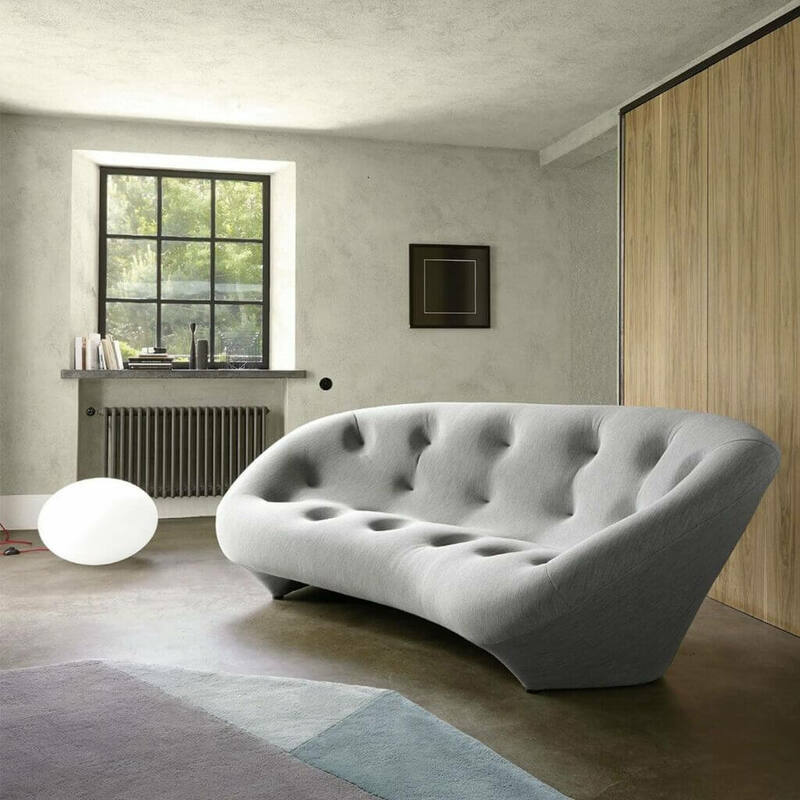 Ploum settees are also the result of a research, between french company Ligne Roset and brothers, which lead to the specific combination of two materials being used jointly: a stretchy fabric covering upholstering an ultra-flexible foam. 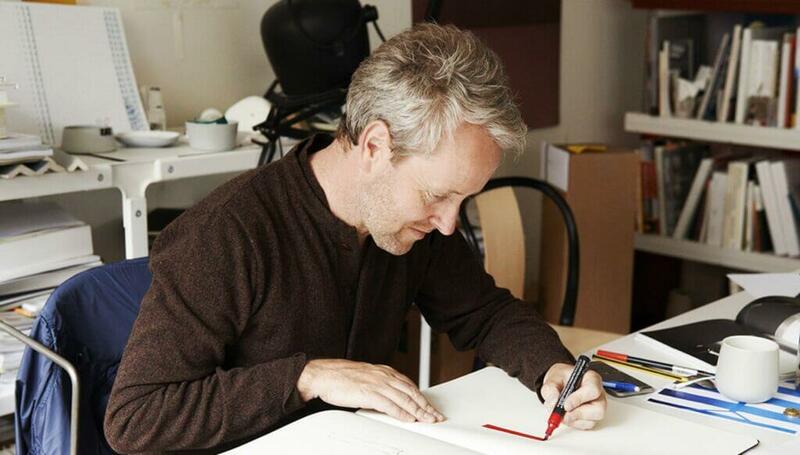 Sketching, drawing and photography are the Bouroullec brothers three main tools during the often time-consuming design process. Ronan cannot leave the house without some paper in his pocket. The brothers are constantly drawing, filling the pages of an ever-present sketchbook, or, it its absence, napkins, receipts – anything they can get their hands on. Ronan and Erwan explain their almost obsessive need to draw by pointing to one of the tenets of the design profession: optimism. Designers, by definition, are driven by hope, as they envision something that should improve the existing surroundings and better our everyday lives. 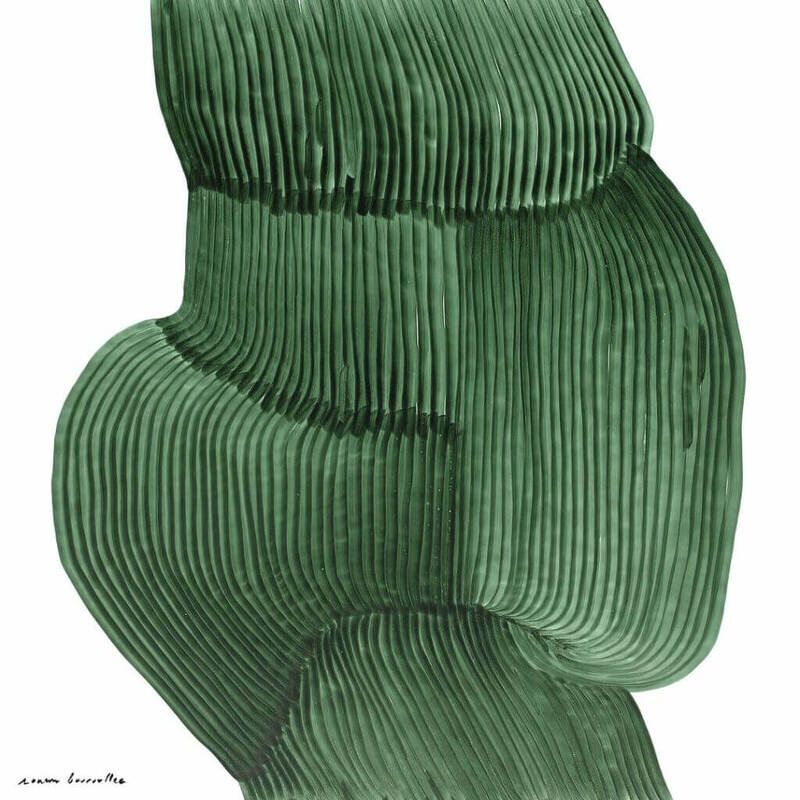 But they are also confronted with the reality of the business, and the Bouroullecs use drawing as a means to escape from what can at times be a hyper-rational, result-based industry. Ligne Roset and Kvadrat products are available at GIR Store, Trešnjinog cveta 5, Belgrade.